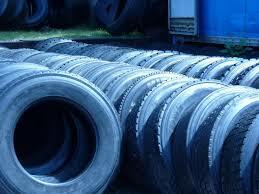 Used Truck Tires – Export to South America – Southern Tire Jacksonville | Southern Tire & Fleet Service, LLC. Not only does Southern Tire offer North Florida and South Georgia the best selection of new and used truck tires in the area, we also export to Central and South America. With the retread process less expensive in the lower Americas, it often makes sense to purchase casings and have them shipped in. Southern Tire offers top grade virgin casings at the most competitive pricing. Our used virgin tires with tread remaining are also a valuable option as the tires can be run upon arrival and then retreaded when they meet the criteria. Either way, Southern Tire has the inventory and ability to fill orders on-time and at substantial savings.